For anyone from Generation X who wants to reminisce about the fall of the "Hair Bands" amidst the rise of Seattle Grunge! This books explores the journey of Amy Gaer -- a recent graduate who must move back to her small hometown for the summer before starting grad school. Using her humorous self-deprecation, Amy finds herself making important decisions about her life. Is she ready to take the responsibility for her future? It might be easier if she hadn't unexpectedly fallen in love. This humorous love story from the 1990's is available now! 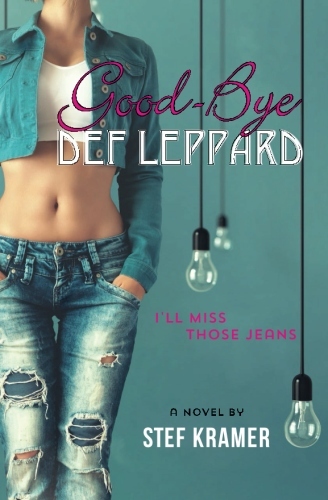 I just finished "Good-bye Def Leppard" last night. What an enjoyable, quick read. I hated to see it end! So full of humor and yet so touching! Amy's such a sweetie and Nick- what a romantic guy!!! Don't stop there Ms. Kramer. Amy's life is just beginning as an Iowa farm wife. I want to hear the 90's version of Green Acres!